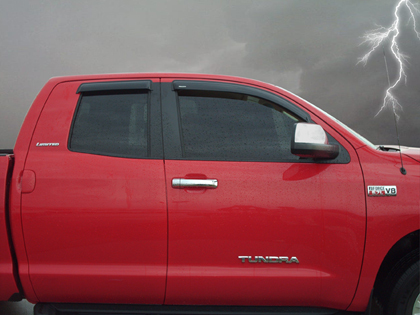 Stampede - Beat the elements and add some attitude to your Truck, Van, or SUV. Sidewind Deflectors allow you to keep your windows partially open, to provide ventilation to the interior. As air flows around the outside edge of the sidewind it creates a small low pressure area underneath it (much like an airplane wing)which creates suction to keep out the wind and draw out the stale air from inside your vehicle.